Bulb, Courtesy Lamp. Tubular or "Festoon" style. 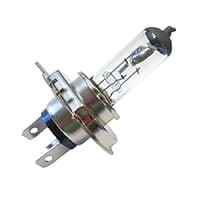 Bulb, dual element, as used on U.S.-spec front turn signal and all rear brake/tail light. 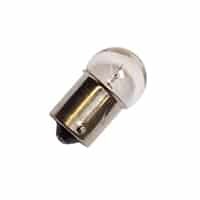 55-watt H3 bulb to fit driving and fog lights. Sold each. 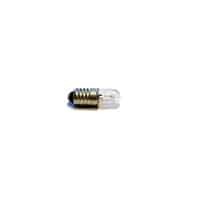 Small based bulb, most commonly used in Mk1 & Mk2 license plate lights. 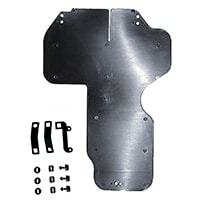 Also used in side marker lights on Canadian Minis, and other applications. Bulb, panel, bayonet type. Push in and twist 1/4 turn. 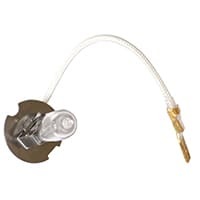 Typically used on oil and water temp gauges. 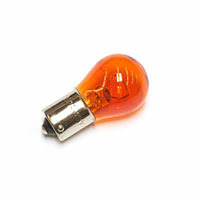 Amber bulb for 1986-on wing side marker lamp. 5-watt, push-in bulb. Also available in clear as GLB501. 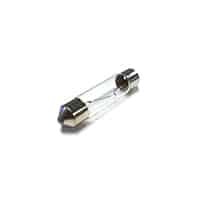 Clear bulb for 1986-on wing side marker lamp and also modern headlamp units with Euro-spec pilot light. 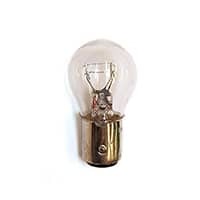 5-watt, push-in bulb. 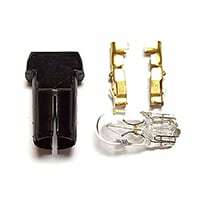 Also available in amber as GLB501A. Front turn lamp and rear flasher, all years 1959-2000. 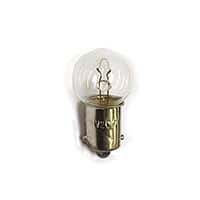 Single element 5W bayonet-mount bulb. 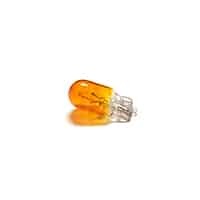 Single-elment turn-signal bulb in amber; for use with clear or white-colored beehive lenses. Not for use with twin-point Minis (after 1996). 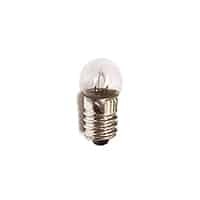 Low wattage, 2.2 watt push-in bulb for instrument illumination. Low wattage (3W) push-in bulb for instrument illumination.Similar bulb in 5-watt rating for side lamps is GLB501. Instrument/gauge illumination socket and bulb. Fits 1/2" diameter installation tube. 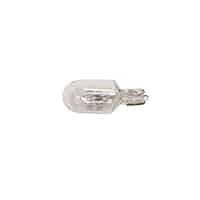 Replacement bulbs are GLB504. 3-watt bulb included. Penny (in large picture) not included. Instrument/gauge illumination socket and bulb. 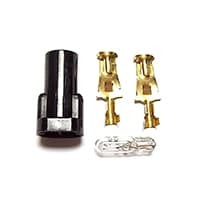 Fits 3/8" diameter installation tube. Bulb included. Penny (in large picture) not included.